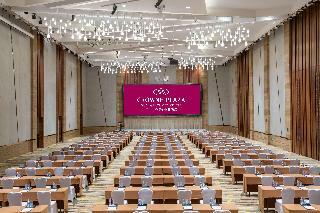 Crowne Plaza Guangzhou City Centre Hotel - Carrusel.travel Hoteles, Servicios, Traslados, Paquetes y mucho más! 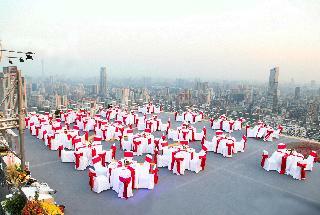 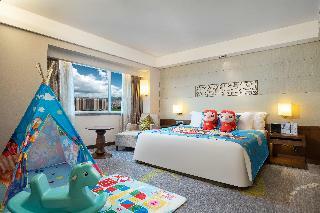 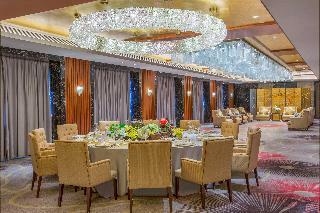 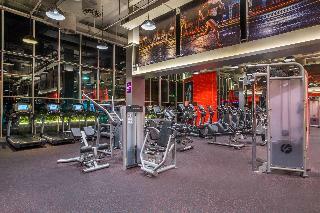 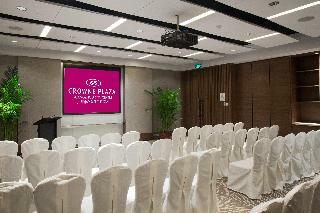 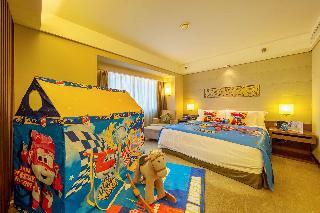 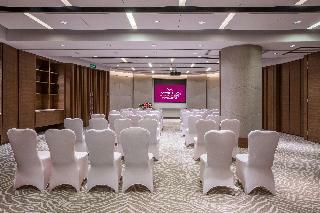 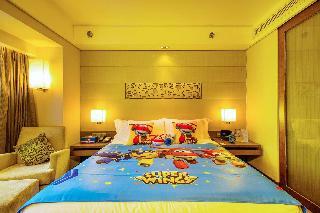 This city aparthotel is located at the heart of the action in Guangzhou. 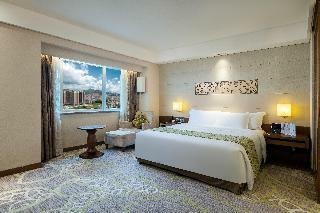 The hotel enjoys a central setting in the city, providing convenient access to the shopping and entertainment areas it offers. 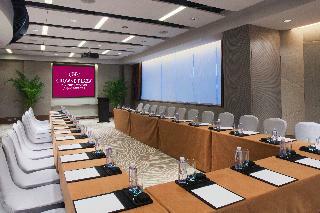 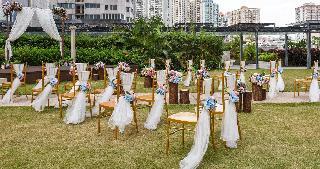 The hotel is situated just 32 kms from Guangzhou Baiyun International Airport and 7 kms from Guangzhou East railway station. 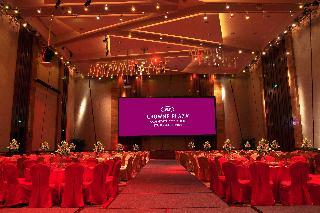 Just 15 kms away, guests will find the Pazhou trade fair centre. 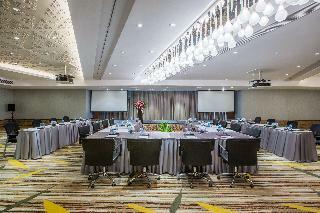 This business and conference complex stands proudly alongside its counterparts, exuding sleek sophistication and elegance. 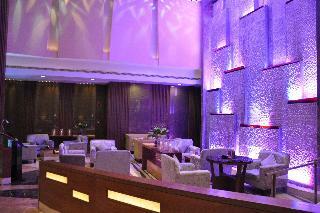 The lobby radiates style and grace, with its spectacular design and lavish furnishings. 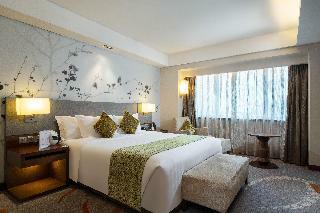 The stunning guest rooms will impress visitors with luxurious design and opulent decor. 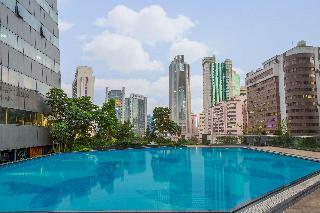 They offer a cocoon of serenity and tranquility away from the bustle of the city that lies outside. 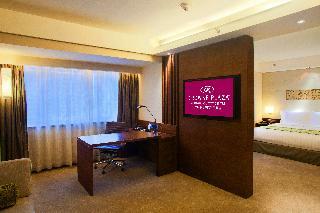 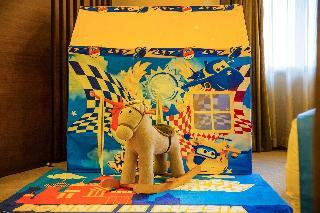 The hotel provides an array of exceptional facilities for guests relaxation and comfort.